It is often said that if you want to know a woman's true age, all you have to do is look at her hands. While there is nothing wrong with looking your true age, the fact is the neck and décolleté can be just as revealing. In the world of skin care, the neck and décolleté are often overlooked in favor of treating the face. The neck and décolleté area contributes to an overall youthful appearance and with so much access to products and treatments that can help make the skin on our face look youthful; there can be a stark contrast if the neck and décolleté are not cared for. Popular advice says to use the same products on the neck and décolleté as are used on the face. However, the skin in this area is quite different than that of the face and so it makes sense to give it special attention. For example, skin on the neck and décolleté can be thinner and have less structural proteins. This means important proteins like collagen and elastin are not only less prevalent to begin with but their quantities will dwindle faster with age. Additionally, less oil glands are found on the neck and décolleté than on the face so this area is more prone to dryness and dehydration. Since hydration is a key component to healthy, youthful skin, this means aging will appear sooner especially in the form of visible lines and wrinkles. Because of the unique angle to the sun, the neck and décolleté can be more prone to pigmentation as well as wrinkles and collagen degradation from sun exposure. Finally, because of the repetitive movements and stress that are put on the neck in particular, wrinkles can form early and deep. HydroPeptide Firm A Fix Nectar is a luxurious, lightweight serum that tones and sculpts the neck and décolleté using a revolutionary epigenetic blend of anti-gravity, anti-wrinkle and collagen-boosting peptides. It instantly hydrates the thinner, more delicate neck area while working to beautifully firm, tighten and lift. 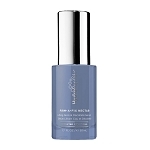 Powerful antioxidants brighten and fade sun damage while protecting against free radicals that cause skin aging. For best results, use Firm A Fix Nectar twice a day and don't forget the sunscreen.